TBILISI, DFWatch – In the Georgian capital, news hungry citizens can now get their daily update from a bright red bicycle. The reason the new mobile newsstand is hitting the streets is that City Hall has removed many of the old permanent booths. Since last December, independent media have been campaigning against the plan, saying it threatens freedom of speech. 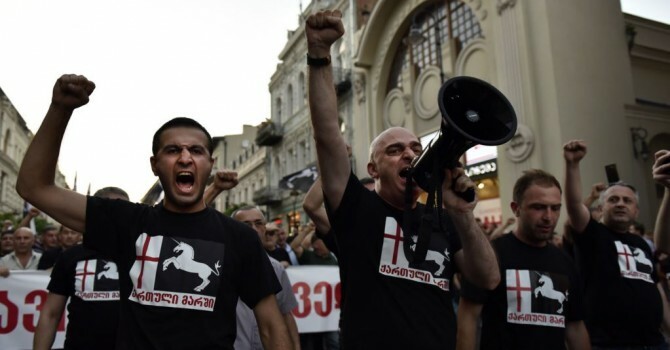 The campaign continued Tuesday, as representatives of newspaper distributors and several public figures gathered in front of the Rustaveli statue in the center of Tbilisi to once more express solidarity with the newspapers. Tbilisi City Hall in December started tearing down newspaper booths in the capital and announced an auction under a project called ‘1000 booths’. The plan created a controversy when it became known that most of the locations on which the auction was announced were places where the newspaper kiosks had been standing for years. The rent and fee for these new booth locations are way too high for the previous booth owners. There has been periodical protests by media representatives to express solidarity with the Georgia newspapers, while the newspapers distributing companies keep fighting for their own survival. 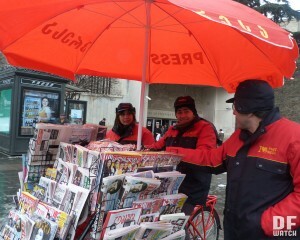 Today a big red bicycle appeared on Rustaveli Ave with a huge red umbrella with the word ‘Press’ printed on it. 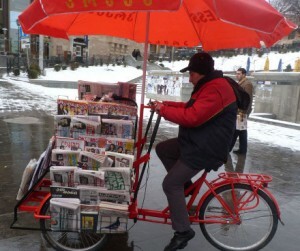 The bicycle is carrying several stands full of newspapers and magazines and the driver signals to people passing by, calling for them to come buy newspapers. 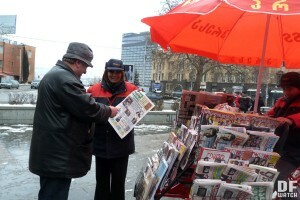 A few weeks ago, small newspaper-selling carts also appeared on the streets of Tbilisi. “But the bicycle is much more comfortable for me to drive. And people are paying more attention, newspapers are selling more, and people are willing to buy more newspapers in a day,” Bichiko, the driver of the new bicycle, tells DF Watch. He has his own assistant walking beside and helping him to sell the newspapers. Gia Khukhashvili, an independent economic analyst, came to today’s rally, which is called ‘let’s read more’, to express solidarity with newspapers and distribution companies. “I’m supporting these people. I will help them to sell the newspapers for a period,” Khukhashvili says, wearing one of the new red jackets used by the sellers. “The government is no longer content with controlling the national media, it it’s attacking the islands, the remaining islands including the print media, regarding the kiosks,” he says, adding that other representatives of civil society should also get involved in this process so people can have access to alternative sources of information. Lekso Jikia, the chair of the Supporting the Newspaper Distribution Organization, says that nowadays there is no such problem in the regions, but if it happens, than the same measures will be taken there and different types of press distributing systems will be brought to the regions too, including this type of bicycle. One bicycle appeared today, but thirty more will be coming to the capital. Jikia says the number will increase and will include all districts and neighborhoods of Tbilisi. 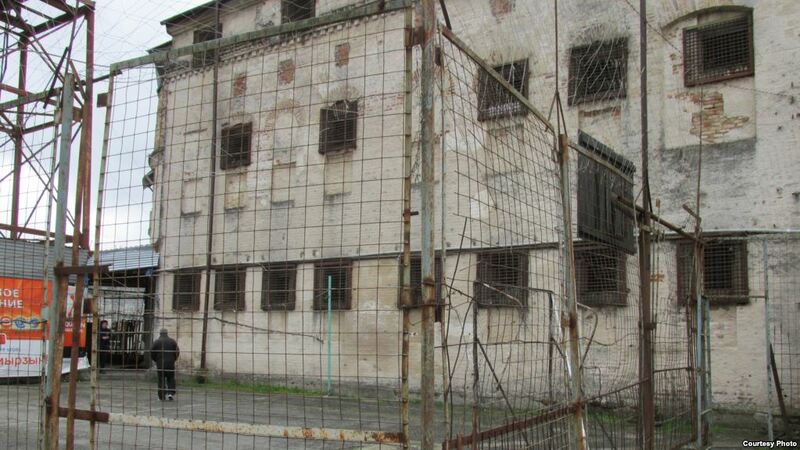 The organizers say it’s not a business project, but charity, which is financed by Kartu Foundation, the founder of which is the Georgian philanthropist Bidzina Ivanishvili, who last fall said he would enter into politics for the parliamentary election later this year. 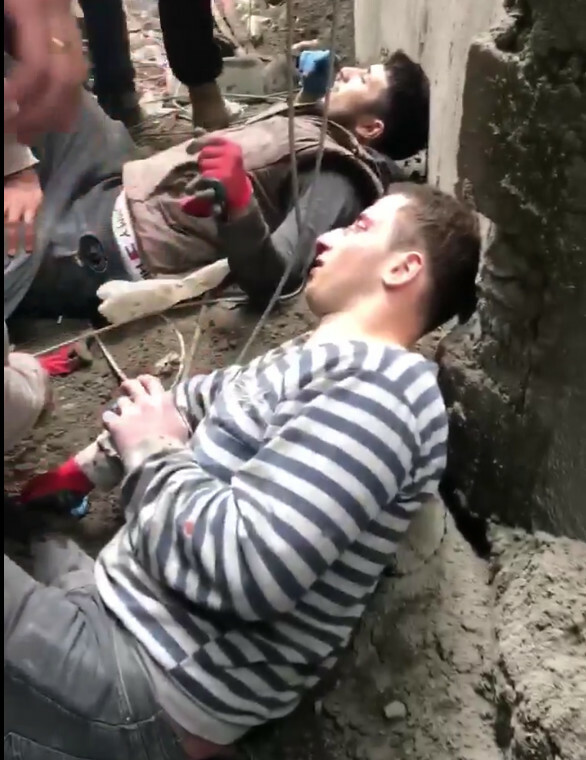 “In December they simultaneously took away in Tbilisi the half of, they destroyed the half of the system; more than 150 kiosks were taken away by City Hall, which created a serious problems for the newspapers. 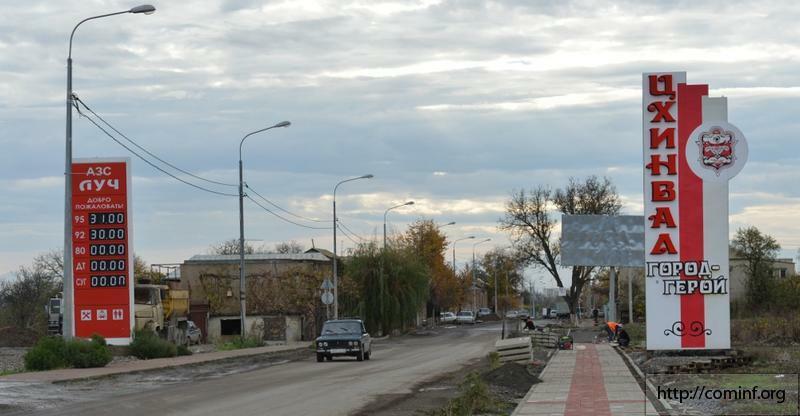 We began countermeasures; more stands appeared in the city, including mobile stands,” says Lasha Tugushi, editor of the newspaper Rezonansi. Companies previously owning newspaper booths only managed to buy a few locations under the new kiosk system. The circulation of newspapers has dropped, because subscribing to newspapers is not a viable system in Georgia. Only street sale is a feasible way to reach readers. 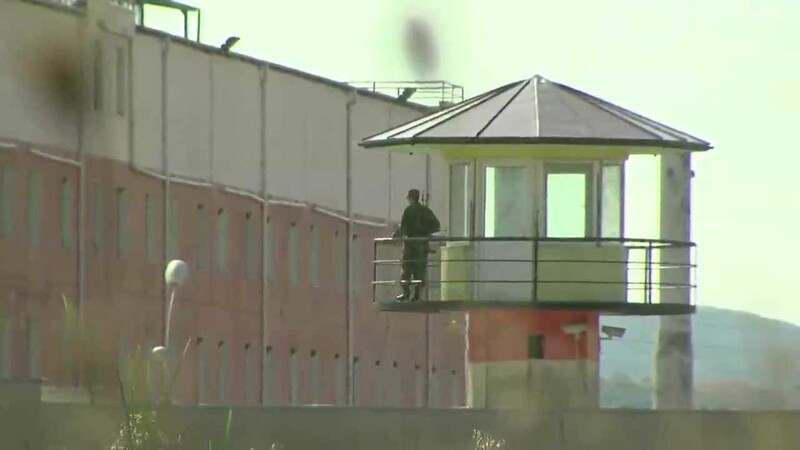 “The government’s goal is to keep us in darkness. With this bicycle we want to break through this darkness so people will have an alternative source of information. That’s all this is about,” Gia Khukhashvili says.